If you’ve experienced leg pain that seems to be emanating from a vein but are unsure what it is, it may be venous insufficiency. 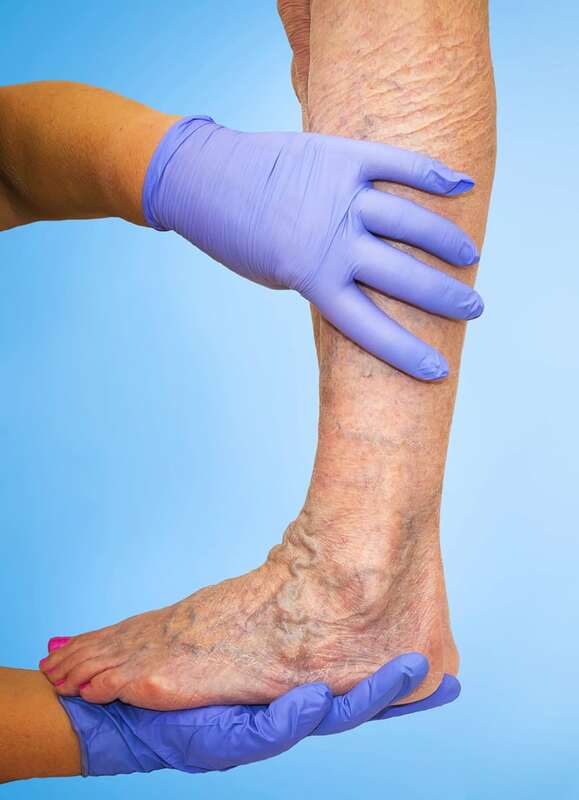 Pain, swelling, itchiness, leathery skin, or loss of cosmesis are symptoms of venous insufficiency and a warning of when to see a vascular specialist. Allowing any symptom to linger too long, can lead to much more serious conditions. Healthline defines the process of your body’s blood flow as functioning properly when it operates within an intricately simple system. The arteries carry blood from your heart to other parts of your body, and the veins return it back to the heart. Valves act as the stopgap in your veins to keep blood from flowing backward. If the veins are not able to return blood to your heart for some reason, then it begins to pool where its movement is blocked in your legs. This is known as venous insufficiency. You may be having trouble with a blood clot or varicose veins. Blood Clot: A blood clot restricts the flow of blood, and as a result, blood pools below the clot. 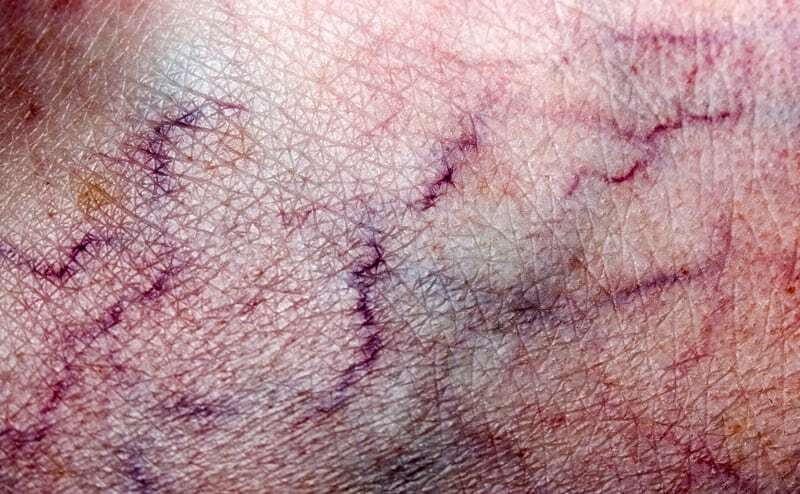 Varicose Veins: Blood leaks back through damaged valves. Weakness in the Leg Muscles: May result in squeezing the blood forward. While pain is one of the symptoms associated with venous insufficiency, its effects may vary depending on the severity and placement of the vein condition. Some people experience a feeling of heaviness in the leg, while others may describe their discomfort as achiness. An itching or throbbing sensation may also occur. If the situation has become acute, extreme pain can occur while standing or walking. According to the National Center for Biotechnology Institute (NCBI), vein disease is common and manageable if caught during the early stages. A vascular specialist can diagnose the severity of your situation. If your symptoms are not bothersome, you may benefit from exercise, weight loss, wearing compression stockings, or elevating your leg. 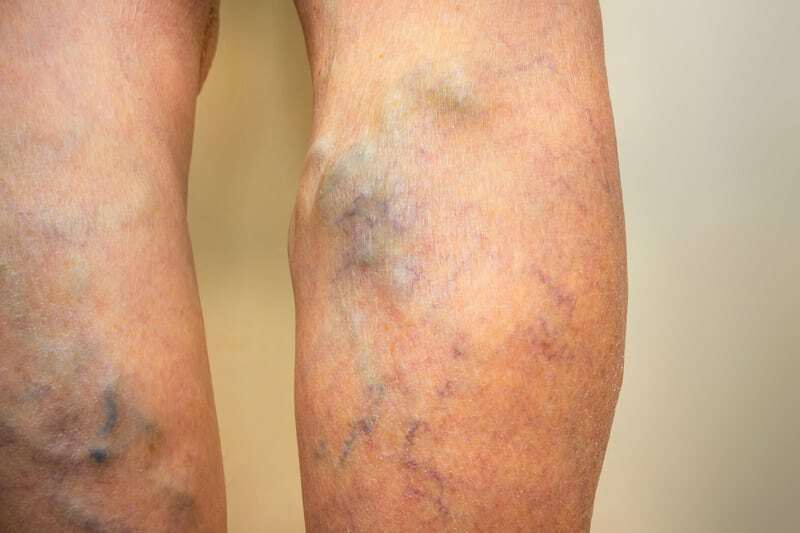 If left untreated, however, venous insufficiency can result in loss of cosmesis in addition to serious complications, such as thrombosis, ulcers, or bleeding. The circulatory system is essential to the body’s overall health. Veins and arteries are an integral part of this system, as they are responsible for transporting blood to and from the heart. Veins bring blood back to the heart and are prone to complications since they must work against gravity. Left untreated, vein-related complications like vein disease can cause serious health complications. When the veins do not work properly and the blood flow from your body to your heart is decreased, the skin can become dry and itchy. As the blood is not flowing at its optimal speed, the skin can also become discolored and swollen. When this inflammation becomes chronic, it can be referred to as stasis dermatitis. This only occurs when stasis dermatitis has worsened. The symptoms of cellulitis include red and swollen skin, chills and fever, and swollen lymph nodes. This typically happens when vein disease intensifies, and treatment is not sought. When cellulitis sets in, the risk of a lethal bacterial infection sepsis increases dramatically. As vein disease progresses, the body’s veins either become enlarged or deteriorate over time. 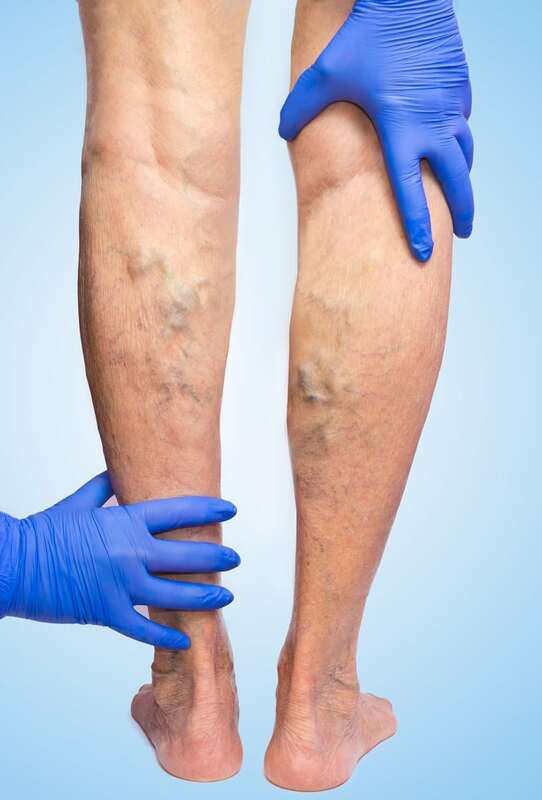 If the vein’s capabilities have decreased dramatically, blood may pool in the varicose veins. This forces them to become more swollen and create painful ulcers. Ulcers caused by untreated vein disease can itch, burn, cause rashes, and dry out skin. They may be a brown color and ooze or bleed with a foul-smelling substance. Deep vein thrombosis happens when a blood clot is formed within the veins of the leg or other body parts. It can happen when veins are no longer able to bring blood back to the heart and create a clot within the leg. When a clot is created because of untreated vein disease, a pulmonary embolism can occur. This occurs when a blood vessel becomes blocked by a clot that has traveled to the lung. There are a variety of ways to maintain the health of your circulatory system and many treatment methods for vein disease and other vein-related issues. 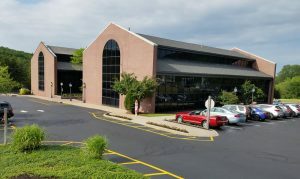 When you have concerns about the health of your veins, contact the New Jersey Vein and Vascular Center for diagnosis and treatment of vascular disorders.